Ski Utah is the marketing arm of the non-profit Utah Ski & Snowboard Association, charged with promoting Utah's ski and snowboard industry. Our membership consists of resorts, lodging, transportation, retail, restaurants, and other ski and snowboard related businesses. All of our members work very hard to ensure that each Utah winter season will be even more fantastic than the one before. Thank you for visiting our online press room. Feel free to peruse the latest news, information, statistics, maps, images and more. I also encourage you to come out to enjoy The Greatest Snow on Earth®. Whether you are a corduroy cruiser, powder hound or first-timer, we have something in store for you. 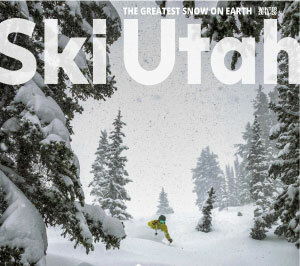 For advertising inquiries please contact the Ski Utah Sales Manager Albert Kenworthy at Albert@skiutah.com. I look forward to providing you assistance and seeing you out on the slopes.